Day 26 of the A-Z Blogging Challenge and the letter Z. Check out the Zemanta fed articles. Come in for some Zen (yogijanan.wordpress.com) is about a performance art installation. …and while we’re on Z, a big THANK YOU to Zemanta! You do a great job! I’ve recently found Zen in Transcendental Meditation – fabulous! Welcome Liz 🙂 Cool magnetic poetry on your site! Oh my goodness! You made it through another A-Z Challenge. Woman, you are something else! You’re going to be so full of information, you might burst at the seams. I love how you love to learn!! Thanks for checking out my recipes still. I need to put up more vegetarian ones. It’s a bit difficult without my spices, but we’ll be in the house soon and I can start experimenting again—-with beans this time! Like sprouted ones!. I always appreciate your inspiration! You make me feel like I can cook anything! Ha! You can cook anything! I find Zemanta to be a great help. 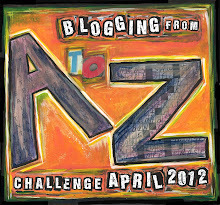 Thanks for being a part of the A to Z Challenge in 2013!